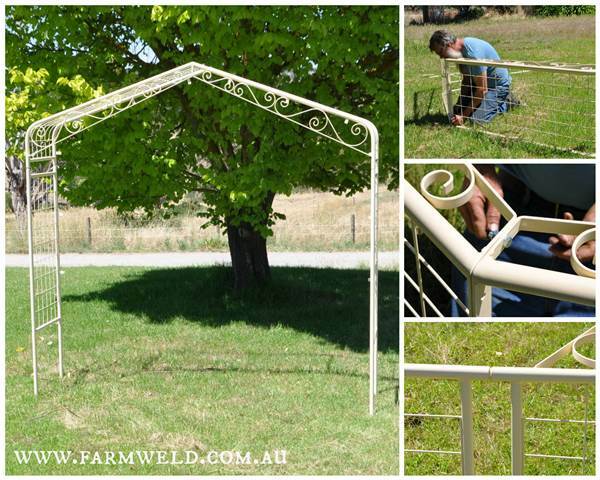 When considering your garden arch design consider not just beauty, but sturdiness. 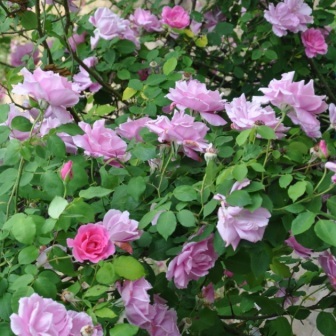 If you want to plant a climber and like the idea of a wrought iron arch, it might be worth having a good think about what you really need. 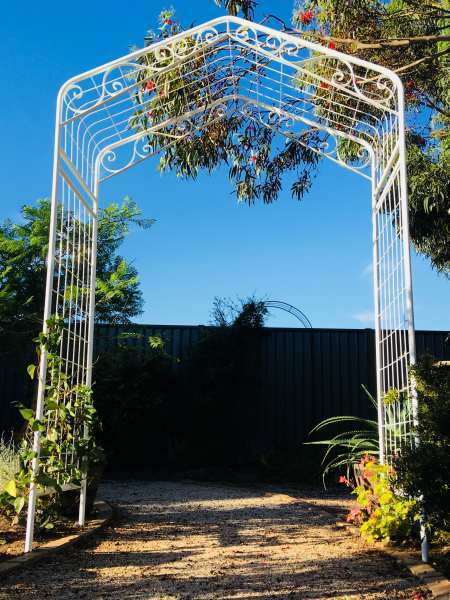 A garden arch should be complementary to it’s environment. Most of all though, remember it’s your plant that needs to be showcased, with the arch giving it good support. So is it worth spending money on fancy ornamental ironwork, or is it a waste of money if it’s going to be hidden under foliage? 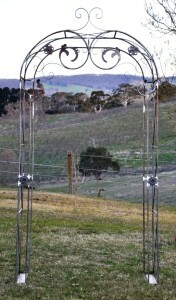 Some garden arches are just showy pieces of ironwork. 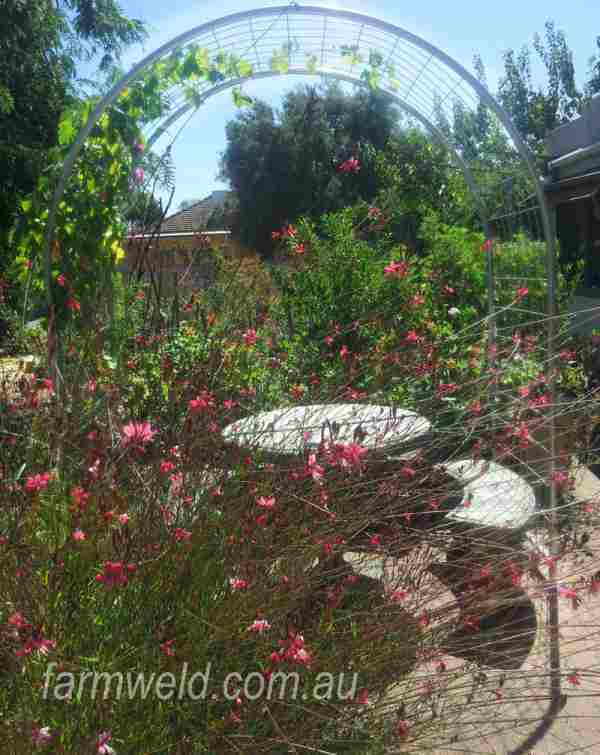 The purpose of a garden arch however is to support the plant growing over it. Who doesn’t love walking through, or sitting under a green canopy? One customer had such a dream. Her backyard was sunny and bright and she wanted to grow a canopy over her garden setting but the arches she’s seen elsewhere were flimsy and cheap. 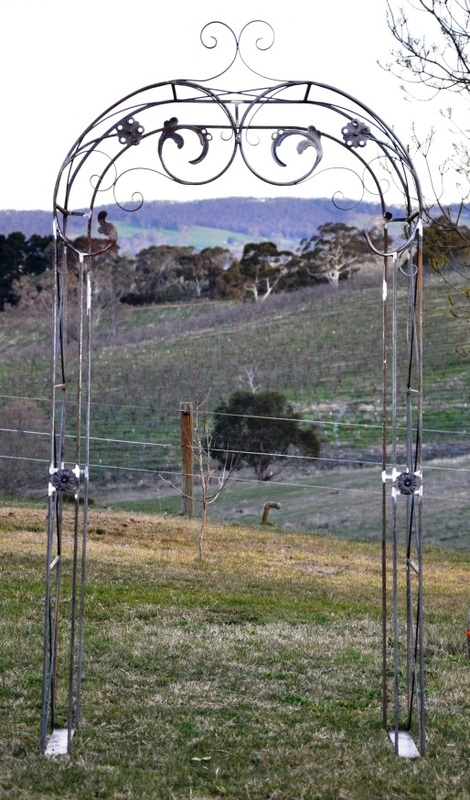 A recent testimonial from a customer describing her project as a folly, is in fact a beautiful, practical garden arch which, once established, will make her garden the place she always dreamed of. In architecture, a folly is an ornamental or decorative building or structure that doesn’t serve much of a practical purpose, even if it’s meant to look like it does. It’s creation often reflects a whimsical inclination on the part of the garden designer, built primarily to be seen as part of the scenery. Often our customers have a wonderful vision of what they’d like to create with limited resources – their “whimsical inclination” or folly. That’s where custom making items to suit sits so well with these clients. 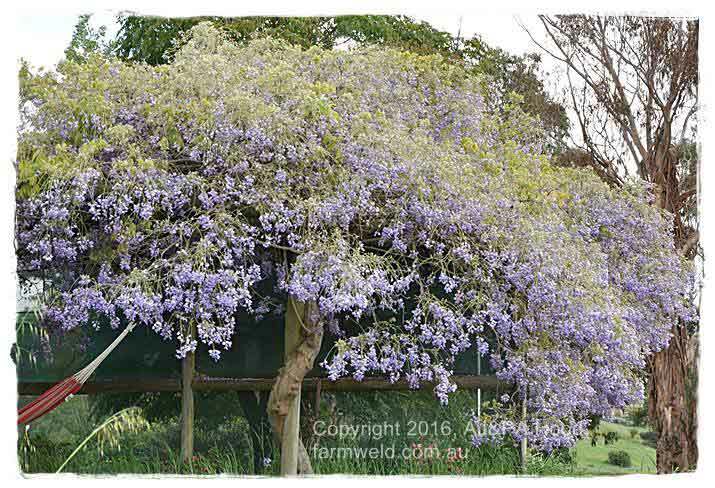 I want to buy a Wisteria arch! I can tell spring is nearly here. Every second enquiry is for an arch so gardeners are starting to frequent their gardens about as often as the local magpies are frequenting mine! If you’re looking to plant the last of your bare rooted climbing roses and are looking for a support you need to keep in mind a few things when selecting the most appropriate structure. Here are some tips. I had my heart set on a sturdy, well built arch for my much loved garden but was not able to find anything in the shops that even came vaguely near my expectations. 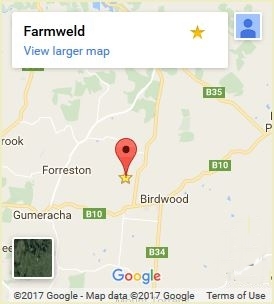 Then I contacted Tricia at Farmweld. I sent through a photo and description and Tricia promptly came back with confirmation that they could build the arch and a quote. The arch now takes pride of place in the middle of my garden with a passionfruit growing up one side and a Jasmin the other. I can’t wait till they smoother the arch with heavenly fruit and perfumed flowers.